Can A Weed Keep You Healthy? When we think of weeds we usually think of them as something that needs to be removed so plants can grow. But many weeds are actually medicinal and health supporting. One such weed is watercress. Although watercress is a weed, it’s not just any weed. It’s packed with youth giving antioxidants, vitamins and minerals. This wondrous weed can be found growing alongside streams and riverbeds in nearly every U.S. state. However, I would suggest you go to your local health food store where you will find it in the produce section. Watercress is low in calories, but high in antioxidants. It has long been known by scientist that aging has a direct relationship to the immune system. Through a new study scientist are beginning to understand what Hippocrates intuitively understood; antioxidants support immune functioning and immune functioning has a correlation to aging. Watercress is also high in Vitamin K which helps to strengthen bones and limits neural damage to the brain; which is helpful in treating Alzheimer’s disease and forgetfulness. Something we all want to prevent as we age. You’ll also find vitamin C and vitamin A in watercress. Vitamin C provides infection-fighting power to stave off colds and flu, helps to maintain healthy connective tissue and prevent iron deficiency. Vitamin A, also known as retinol, is essential for a properly functioning immune system. It produces pigments in the retina of the eye and is found in tear drops. An absence of these pigments can cause night blindness. Need a Detox to keep that youthful glow? A study funded by the National Cancer Institute on smokers found that after eating watercress smokers excreted higher levels of toxic tobacco. Watercress just might be the detox you need to remove toxins and add a youthful glow to your skin. Further watercress helps to keep your cellular metabolic function at peak. This improves the body’s ability to absorb and use calcium and vitamin B-complex. B-complex is necessary for proper nerve transmission and absorption of calcium to support bone strength. It reduces the enzyme fatty acid synthase which converts calories into fat. This one weed helps to strengthen immune functioning, build strong bones, enhance memory, improved eyesight, cleanse the body of toxins and blunt the conversion of fat. Now that’s a weed to keep you young! Watercress has retained its place of importance with Herbalist and Naturalist; recommended as a health giving weed for its’ anti- bruising, anti- cancer and anti-inflammatory properties, as well as its high vitamin C content for fighting flues and colds. In ancient times watercress was believed to be a spiritual plant that brought fertility and protection. Fertility is seen as a sign of youthfulness. All we need to do is examine the nutritional benefits of watercress to call it a youthful protective plant. Here are two on my favorite recipes for Watercress. Watercress can be found at most any health food store in the produce section. Orange, Avocado and Watercress Salad. In a bowl mix 1 Tbs. of orange zest and 3 tsp of orange juice, 1 tsp. of olive oil and a dash of ground cumin. 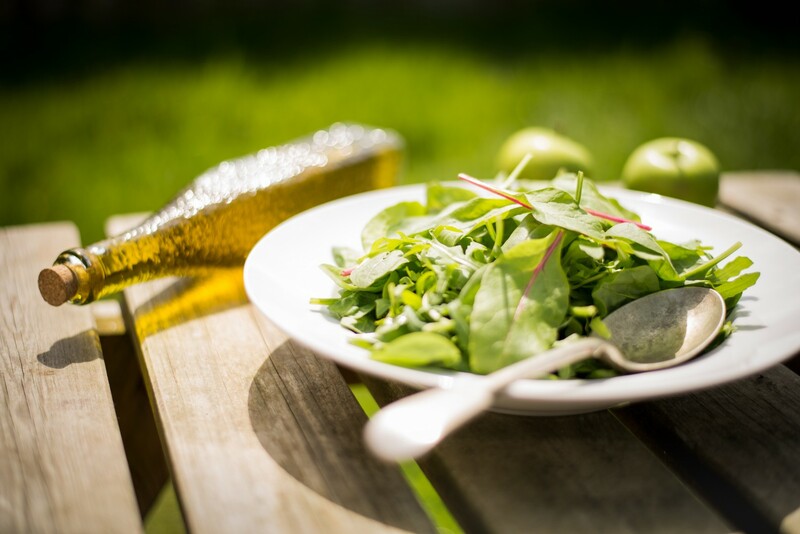 Toss trimmed watercress into the dressing and then arrange on two plates. Top with 4 rounds of naval orange (peel and pith removed.) Top with thin slices of avocados. Sprinkle a few hemp seed heart on top (gives a kick of omega-3! ), or use any chopped nut or seed. About 137 calories a serving. Watercress Stir Fry Steak Salad — In a medium pan heat 2 Tbsp. of olive oil. Add chopped 3 minced garlic and 1 tsp of minced fresh ginger. Sauté until fragrant. Add 8 oz. of stemmed watercress and stir fry. Throw in a squirt or two of soy sauce. Divide amongst two plates, Top with grilled skirt steak and a ¼ tsp of toasted sesame seeds. About 314 calories per serving. Eat your weeds and stay youthful body, mind and soul!